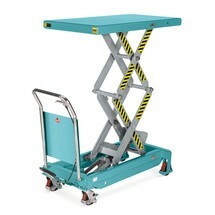 The robust scissor lift table on wheels is ideal for daily use. The frame and scissors are made from welded sectional steel, while the load platform is constructed from rounded steel plate. This makes the truck extremely stable and ensures a long service life. A high-quality hydraulic pump with foot pedal allows you to raise working materials to an individual, ergonomic reach height. 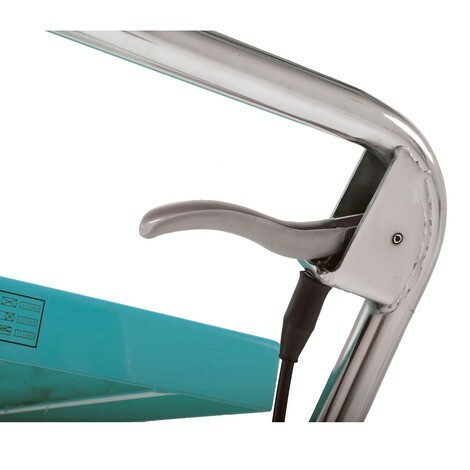 The rubberised manual lowering lever on the chrome-plated handlebar enables fully variable lowering of the load surface. 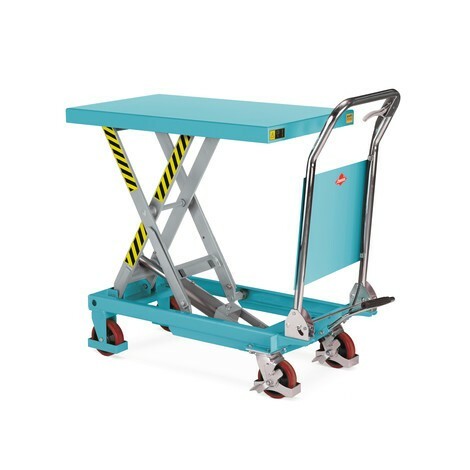 Thanks to its low height and easily folding handlebar, the lift table can be stored in a convenient, space-saving manner. 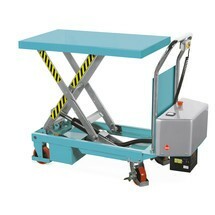 The fold-out inspection support secures the platform at a specific height, allowing you to perform maintenance work or clean the lift table. 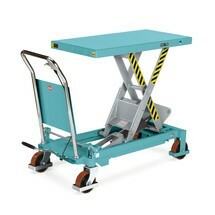 The wheel stops on the steering castors ensure stability and security at the usage location. 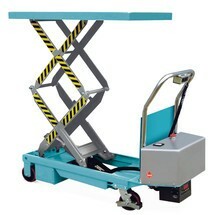 The truck is available with different capacities and lift heights. 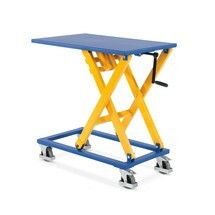 Order the powder-coated Ameise® scissor lift table on wheels with folding handlebar from our shop.